Last April 18th , “La Laboral” school in La Rioja (Spain) in cooperation with the local Skating Club, organized a competition with participation of 80 professional skaters from different locations. Local and national companies like Zeta Espacial -manufacturers of popping candy Peta Zetas®- supported the celebration with different types of cooperation, encouraging participants to enjoy the practice of sport and work hard to reach their dreams. Competition started at 10 am and finished at 8 pm with the Awards ceremony, with presence of sponsors, supporters and a special dinner for all participants. 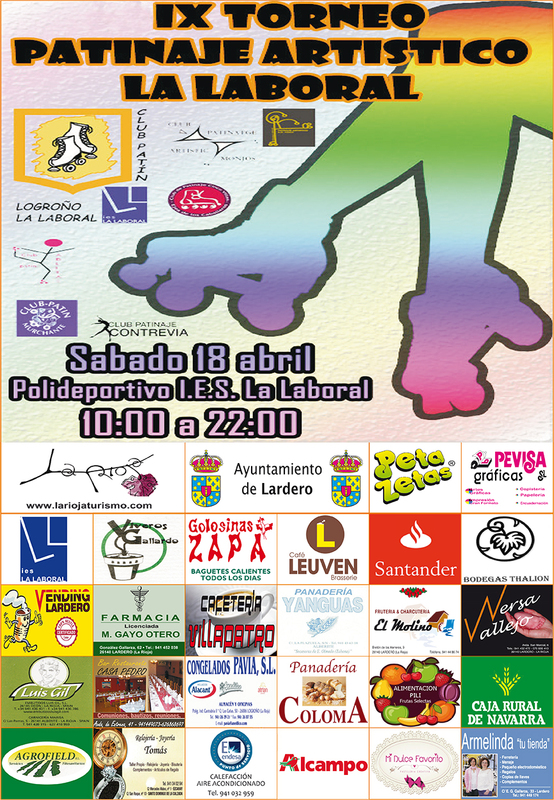 With this IX edition, the “La Laboral” competition becomes the leading artistic roller skating competition in La Rioja.